To Continue Browsing this website. Keep Smiling with Total Care Dental! At Total Care Dental, friendly professional dental professionals take care of you from start to finish. We believe you should experience a state-of-the-art Madison dental clinic with the best Madison dentistry equipment, and a team of professionals who constantly review the well being of each and every patient. Our absolute commitment to your dental procedures and finding the best options for you make us the best Madison dental clinic. Meghan’s Smile was Designed by Dr. Clark. Click to view more life-changing stories & smile transformations! A Better Dental Experience in Every Regard. No lectures. We promise! Our team combines cutting edge dentistry with a gentle, friendly style that will make you and your family more comfortable than ever. Our friendly doctors and team are sure to put your fears at ease. We strive for comfort, professionalism, respect, and what we call: “wow” customer service. Kids can enjoy TCD with free balloons, and a cool Kids Zone! Friendly professionals ensure your children have fun & be healthy! Total Care Dental is a Premier Provider of Invisalign. We offer free consultations with before & after computer simulation! We know coffee and tea stains can be a pain. Let us brighten your smile in a single, one hour whitening visit! The premier dental clinic in Madison is Total Care Dental. We create an all-around positive dental experience for you and your family. 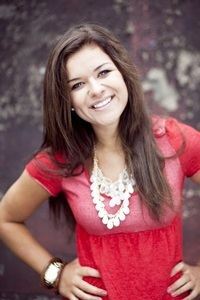 Our Madison dental clinic is committed to providing you with a fun, friendly atmosphere to bring out your best smiles. Our compassionate dental professionals are devoted to providing only the best, most comprehensive oral health care and dental services. We keep up to date with all the latest research and dental care developments to ensure your complete dental health. We are a team of enthusiastic, passionate people who share purpose, values and goals. We serve our patients by providing life-enhancing dental services within an environment of comfort, professionalism, respect, and "wow" customer service. We strive to make a positive difference in the life of each patient by creating laughter with every smile. Not taking good care of your teeth can result in oral and facial pain, digestion problems, and can even lead to problems with the heart and other major organs. Our dental health care professionals are here to answer any questions you have to ensure you know the right steps to good oral hygiene. Cavities, also known as tooth decay, are the most common disorder affecting teeth. Taking proper measures to guarantee your teeth last a lifetime is of the utmost importance. Our Madison dental health care specialists are dedicated to detecting and eliminating all potential problems to help your pearly whites stay just that. Trust our Madison dentists to provide full dental health care and healthy smiles. Total Care Dental is the Madison dentist for kids and the whole family. Going to the dentist can seem like a scary experience for kids, so our dental professionals have gone above and beyond to provide a fun and friendly environment. We provide the most comprehensive teeth cleaning and sealant services to protect kids’ fragile teeth throughout childhood. During appointments with our pediatric dentists, kids are rewarded for good brushing habits and a lack of cavities to promote healthy oral hygiene at an early age. 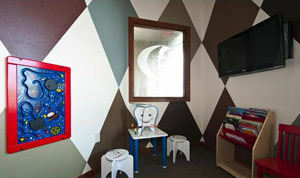 The kids’ room is full of games, books and other fun activities for kids to enjoy before and after appointments. Total Care Dental is here to show kids how going to the dentist isn’t scary. Going to the dentist is fun! We have highly-qualified and personable staff to give you the best possible experience at our Madison dental care practice. You deserve to have the most gorgeous smile possible. Whether it’s a small, malleable filling or a permanent cement restoration, our dentists perform all services. Buildup and tooth damage are inevitable, taking proper measures and visits to our Madison dental restoration professionals will ensure you have healthy teeth for years to come. Your teeth are sensitive and must be treated as such. Don’t wait to restore your smile to its original beautiful state. Take action today! Our cosmetic dentists offer a complimentary consultation before all our services, ensuring you'll be fully informed when you make the choice to enhance your smile. No matter which cosmetic dentistry procedure you need, our experienced dental professionals provide personalized service to restore your unique smile. With our top quality services, you’ll look great, feel confident and keep smiling. We strive for the very best and we are proud to partner with only the most experienced and superior labs for all of our cosmetic dentistry products and materials. Smile Big. Smile Healthy. Smile Beautiful! Maintaining your dental health is essential for your family’s overall wellbeing. Total Dental Care Madison offers patients a professional, stress-free environment for even the most dentophobic member of your family. Caring for your oral health should be a priority in your family - our Madison dental team makes family dental care easy. Our office is adult and kid-friendly, complete with television, table-top arcade games and plenty of books so you can read and relax. Our preventative services will take care of your oral hygiene from your first teeth to your last. We work to remove plaque, tartar, reduce inflammation, and minimize gingivitis and periodontal disease, whitening and enhancing your smile. Taking care of your teeth is important to guarantee good overall health for your family. Regular teeth cleanings prevent harmful plaque buildup, which can cause heart disease and other serious health issues. Our experienced dental professionals ensure your entire household keeps their teeth squeaky clean, white and beautiful. The Share a Smile program allows the staff of TCD to give back to our local community. One day a month, we provide free dentistry services to our neighbors in need. We work in partnership with the Middleton Outreach Ministry (MOM) and are looking to join with more churches, low-income housing facilities, and food pantries to expand our reach. Check out our website to learn more about the Share a Smile program. Even if you do not meet the eligibility requirements for free dentistry, our dental financing plans make preventative, cosmetic, and restorative services easily affordable for our Madison patients. Contact our Madison Dental Clinic for complete oral health care at 608-274-1911 or Request a Dental Appointment online!